Shine, directed by Scott Hicks, was inspired by the story of Australian David Helfgott (and please note, it was merely inspired and thus had plenty of wiggle room for interpretation and artistically softening of hard fact). The story in a nutshell: the young David’s prodigious talent on the piano makes his Holocaust survivor father enormously proud until the next step in David’s instruction means leaving the family and Australia. His too-controlling, authoritarian father, forever traumatized by family loss in the camps, says “never,” and from there on out, it’s a struggle between music and family for David, with hard choices the whole way. Forced to turn down an invitation by Isaac Stern to study in the U.S. as a teen, David ultimately ignores his father’s dictate when he’s invited, a few years later, to study at London’s Royal College of Music. There, he trains among the masters, and works obsessively at his entry for the school’s prestigious concerto competition. He’s chosen the Rach 3, one of the most difficult piano concerto in the repertoire, the one his father insisted he wanted his son learning at a too-young age. Way too much for a young student. And, well, you can see the conflict building, right? Not to mention that the young David is already starting to show troubling signs of schizoaffective disorder, on top of the trauma of defying his father to leave the family and live alone, halfway across the world, utterly sucked up in the world of music and the über-challenging Rach 3. Since the release of the film, however, which won dozens of awards, including the Oscar for Best Actor for Geoffrey Rush, there’s been contention. Members of the real Helfgott family have disputed the claim that Dad was the too-controlling, abusive father he was depicted as in the movie. Further, in real life, apparently David’s time in and out of mental institutions was interspersed with plenty of positive: lots of family support, a first marriage, plenty of local performances. But, hey. There’s that “room for interpretation” I was talking about. The movie sort of fast-forwarded through those twenty years in question, instead depicting only scenes of therapy inside the institutions, which was director Scott Hicks’ choice. If you’re curious about the “real” version of the story, check out sister Margaret Helfgott’s memoir, Out of Tune: David Helfgott and the myth of Shine. And note that there are disputes to her claims as well, particularly, as you might imagine, among Scott Hicks’ team, who claim to have interviewed scores of people who knew David and the Helfgotts throughout that time period. There’s another point of contention as well. The truth is, Helfgott, who resumed concertizing after the movie, to sellout houses, is not a technical master. He drops notes. 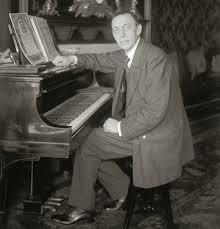 He personalizes the music beyond what Rachmaninov intended. 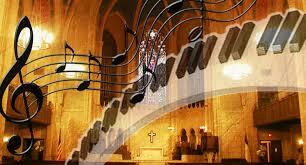 This, of course, infuriates musicologists, pianists and classical music purists. Or, perhaps, what infuriates them is when audience members rave afterward about Helfgott’s genius, his mastery. It should be made clear: Helfgott delivers a powerful performance in part because his life, this return from the almost-dead, artistically speaking, is such an empowering story. But looking at the music, Yuja Wang, Garrick Ohlsson, Martha Argerich—these are masters (among many others) of the Rach 3. In the classical music world, these are the horses you’d bet on for the best rendition of the Rach 3. But audiences have gone crazy over Helfgott’s performances and interpretation. Millions, millions own a copy of Helfgott playing the Rach 3 (including myself—and it’s not nearly as flawed as the outraged musicologists would have you think, certainly not to the average ear). I will argue that it’s better for those millions of people to have a single classical music CD in their music libraries, even if it’s a sloppy performance, even if Helfgott is not a genius, a master, a top-notch technician. The thing is, the performance of it stirs them. Makes them think of Shine and its theme, this triumph over terrible, terrible challenges, both internal and external. It’s an intelligent, feel-good thing, and it’s accompanied by great classical music, and the mainstream is embracing it all. Give the Rach 3 a listen. Virtuoso pianist Martha Argerich gives a gorgeous, nuanced performance that seemed to find that happy medium ground between Garrick Ohlsson’s restraint and Yuja Wang’s fire. In the end, it’s best to treat the subjects—the music, the movie and David Helfgott’s real experience—separately. But what a piece of music. And what a movie. Do yourself a favor and go indulge in both. 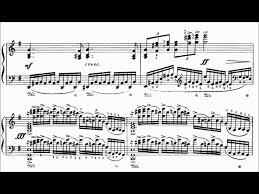 And join me in offering a heartfelt “bravo!” to Sergei Rachmaninoff, the composer and concert pianist who gave us this memorable work of art. This entry was posted in Classical Music, Life and tagged David Helfgott, David Helfgott plays the Rach 3, Garrick Ohlsson, Inspiring movie about music, Margaret Helfgott, Martha Argerich, Memoir Out of Tune, Movie about classical music, Movie Shine, music genius and mental illness, Rach 3, Rachmaninov Piano Concerto No. 3, Scott Hicks, Yuja Wang on October 22, 2014 by admin. You’re not going to ask for a review of Bach’s Brandenberg Concerto No. 3 first, are you? It was nice. It’s always nice. Very pleasing to the ear. There. Onto heartier fare, now. 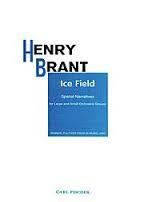 Henry Brandt’s Ice Field: Spatial Narratives for Large and Small Orchestral Groups was commissioned for the San Francisco Symphony by Other Minds, a San Francisco-based organization devoted to the music of pathbreaking composers. It’s worth mentioning, as well, that the piece won the won the Pulitzer Prize for music in 2002. Allow me to share a splendid (and witty) description of Brandt’s work from San Francisco Symphony’s program notes, written by James M. Keller. Likely, for this reason, the Tchaikovsky was so rich, so lush and romantic and nuanced. Some might argue it’s too sentimental and overplayed. And, indeed, I think I’ve got the slow movement on two different “Romantic Music for That Romantic Night” and “Music to Fall Asleep By in the Dead of Winter” compilations CDs. The copy of the entire symphony I have from my youth is on an audio cassette (remember those? ), taped from my dad’s stereo and LP recording (remember those?). This has been my Tchaikovsky Symphony No. 5 listening source for the past thirty years. And I’ve enjoyed it. But you can imagine how hearing it live, and performed by the peerless San Francisco Symphony, was for me. After the performance, I scrawled out my overwrought, emotion-laden thoughts, and several days later, sat down to edit and dignify the writing a bit. In seeking more information on Tchaikovsky’s 5th symphony, I came upon Wikipedia’s page, which proved to be my own writing’s polar opposite. Really, it’s hilarious, the two side by side. And I’m all for hilarity here at The Classical Girl. So, at the risk of offending myself (and the Wikipedia authors), here are my unedited thoughts, in comparison to Wiki thoughts. You’ll have to tell me which one you found more helpful (or entertaining). Classical Girl: Oh, the rush of pleasure in just hearing those first few opening notes. So gorgeously Russian, so instantly evocative, making every other thought and sound fade to insignificant periphery. Memories, wow. Symphony No. 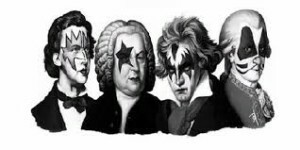 5, I do believe, was the first symphony I really bonded with, back when I was a teen. Oh, this stuff flooding back. Like all the magic of adolescence (that teeny minority of emotions amid an otherwise exhausting, confused, depressing, dull time) sweeping over me while the music played. I don’t know if this sounded particularly sweet because we’d just been subjected to the circus that is Ice Fields or what. I just know this was the sweetest music I’ve heard in a long time. No, wrong word. It connected deep inside me, so that it was both unutterably sweet, and painful, somehow. Classical Girl: Oh, tears. What is it about Tchaikovsky that presses all my buttons? Are his sensibilities so perfectly suited to the ballet that it’s inevitable? Is it because I’m so comfortable with his ballet music that this feels familiar? Possibly not. Although I was doing ballet in my early teens, classical music was, in truth, the greater passion, the world I slipped inside to escape. When I listen to stirring music like this, I feel all the drama and beauty and pathos of life as if I’m experiencing it firsthand. But I can be comfortably ensconsed in my room throughout. I’m not proud of this pathetically anti-social, slacker approach, but hey. Honesty. Besides, in my room, no one can see me double over and weep with the intensity of the listening experience. It is very tiring to cry through the entire second movement and not display any sign of it on my face aside from the tears that roll down my face like an irrigation sprinkler, tears I vow not to wipe away during the movement because that will surely give me away to the other audience members. Ah well. At least I didn’t double over, there at the symphony on Sunday. Classical Girl: The third movement is so light and fluffy, it’s a bit of a jolt. Almost like someone gave Tchaikovsky a nudge and said, “Lighten it up, will ya?” Very, very ballet. 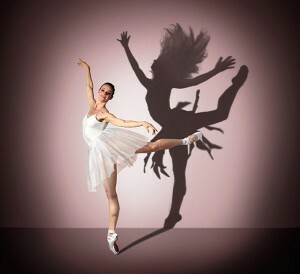 It’s no wonder so many ballet peeps name Tchaikovsky as their favorite classical composer. Even when he’s doing symphonic work or chamber music, it is so danceable. The Fifth was very popular during World War II. One of the most notable performances was by the Leningrad Radio Symphony Orchestra during the Siege of Leningrad. 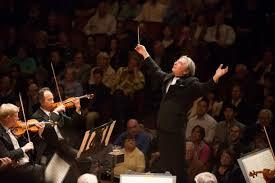 City leaders had ordered the orchestra to continue its performances to keep the spirits high in the city. On the night of October 20, 1941 they played Tchaikovsky’s Symphony No. 5 at the city’s Philharmonic Hall and it was broadcast live to London. As the second movement began, bombs started to fall nearby, but the orchestra continued playing until the final note. Oh, I am so touched by that story. Give the Symphony No. 5 a listen again, knowing this story. It makes it sound even better. A heartfelt “thank you” to the San Francisco Symphony musicians and Michael Tilson Thomas for their spectacular rendition on Sunday, September 12th. This entry was posted in Classical Music and tagged Henry Dreyfuss Brandt, Ice Field: Spatial Narratives for Large and Small Orchestral Groups, James. M. Keller, Moscow Radio Symphony Orchestra, music critic Joshua Kosman, Other Minds, San Francisco Symphony, Tchaikovsky Symphony No. 5, Vladimir Fedoseyev on October 3, 2014 by admin.